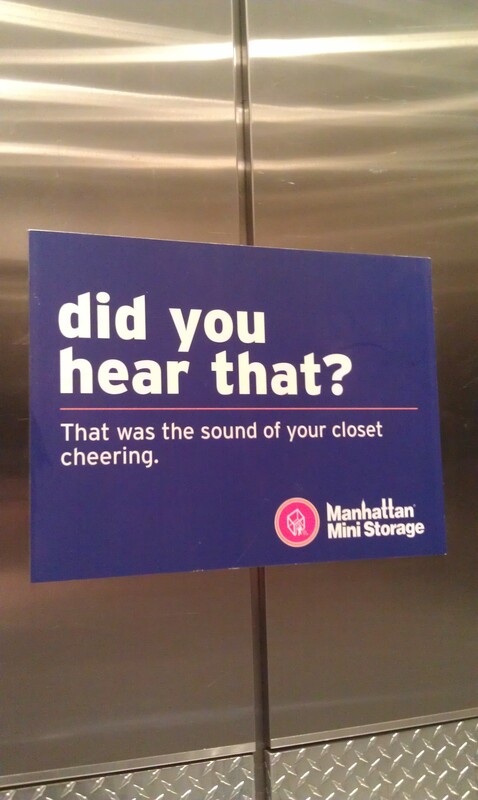 This summer I wrote a post lauding the praises of the beautiful copy from Manhattan Mini Storage. 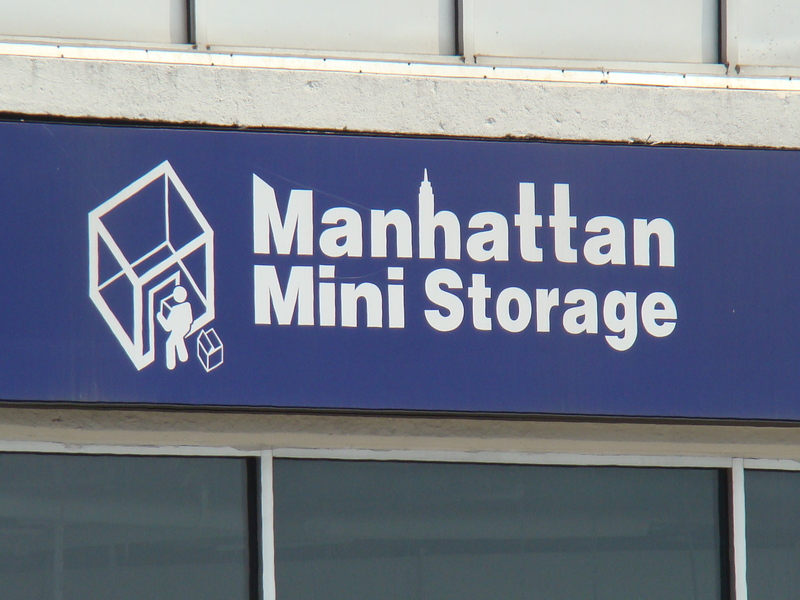 Since then I have needed a storage space, and after searching purely based on cost, Manhattan Mini Storage (MMS) was the best bet. I was really excited that this was the best deal, because I got to see how well their tongue-in-cheek copy is illustrated in the brand as a whole. When researching costs and the size of a unit, MMS provides a no-nonsense “storage calculator”: a simple form where you check off types of furniture so they can help you estimate what size unit you need. This worked perfectly in my case, since my 4*4*8 unit fits all of my stuff with a good bit of airspace, should I decide to buy a chair or two. 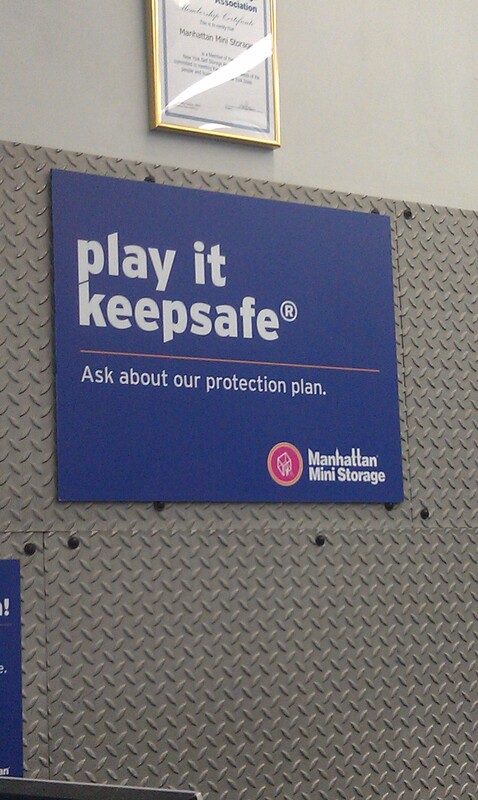 Though the truck driver was a bit curt, the staff person who helped me get a key and find my locker was very friendly. 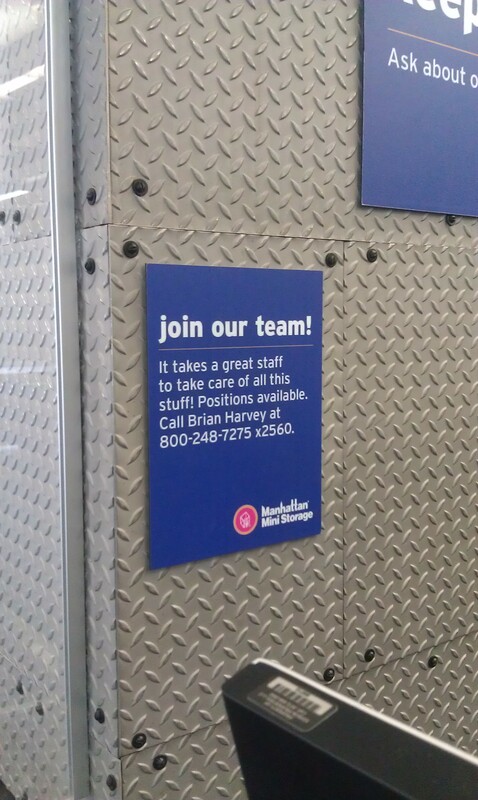 Throughout the building, there are small posters reminding customers of offers and rules in the same style of copy that drew me to love MMS in the first place. Oh, and I love their logo and its incorporation of the NY Skyline!